Many have inquired if I have any books in print, here are six of my books. Thanks for asking and all of the blessings you have always sent my way! WHERE MY HEART WILL ALWAYS DWELL is poetry for the soul, the heart and the lover of life. All who embrace the divine surrounding us and within us will find inspiration in these words. “Wendell Brown” celebrates our humanity in all its diverse angles. His poems illuminate the love in our lives, the joy, the mystery and our mortality. We grasp the beauty of divine creation and the depth of our beings with the simple words and rhythms of Wendell’s poetry. I began publishing Wendell’s work when he first sent them to the American Diversity Report years ago and continue to present them to the public. I am honored to count Wendell Brown as a friend and to have had a role in bringing his spiritual poems to a global audience. When Each Day I Write Of You, speaks to not only the heart of the reader but even deeper into their soul! It speaks of finding love in the beginning stages, and embracing it life long! It brings to life moments where words serenade a heart to open to the vibrancy of real and genuine love! 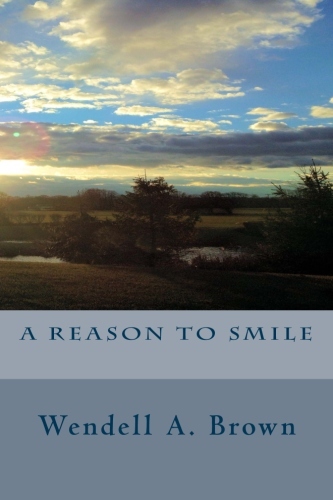 “A Season of Psalms for My King” is a compilation of poetry and prose written and inspired by the spiritual joy, happiness, and love which the author feels in his life through the close relationship he shares with God. By sharing these psalms and prayers, He hopes to inspire many to seek out God and build their own relationship in their lives with God. By showing that everyone endures similar ups and downs in their lives and the only genuine way to overcome life’s obstacles is with the lasting wisdom and love of God. “The Fire That Burns” is a spiritually-romantic compilation of poems of surrender, trust, devotion, commitment, and dedication, to the “Divine One.” The verses within stimulate the mind, body, soul, and spirit with words of love and inspiration, awakening one’s innermost being. The first moments are vividly captured within these poems, when one awakens to the first breathtaking moments of finding and being swept away by a genuine and real love. The raw emotions, the feelings of one’s heart being captured, the joy of new love, the pain of wanting always to be near. The stress of needed acceptance, and the prevailing feeling that after the first meeting, you know you would be forever lost without your new love by your side. So this book is a tribute to what many will feel and find alive in their lives…perhaps for a lifetime or even more. For the life of loving someone has two sides, the blessing from prayers to a loving God, and the need that the love of both combine to become the truest of treasures in one’s life. and faith in all one believes, through his poetry. with Wendell in uplifting the beauty of genuine love and the beautiful blossoming joy it brings to one’s life with his breathtakingly beautiful poems of love written from the heart which will lift and inspire while embracing the hearts of the reader. The words will ignite a true appreciation and need to be love by someone the same way! Love’s beginning moments are vividly captured within these poems when one awakens to the first breathtaking moments of finding and being swept away by a genuine and real love. The raw emotions, the feelings of one’s heart being captured, the joy of new love, the pain of wanting always to be near. The stress of needed acceptance, and the prevailing feeling that after the first meeting, you know you would be forever lost without your new love by your side. So this book is a tribute to what many will feel and find alive in their lives…perhaps for a lifetime or even more. For the life of loving someone has two sides, the blessing from prayers to a loving God, and the need that the love of both combines to become the truest of treasures in one’s life. ALL TITLES ARE ALSO AVAILABLE AT AMAZON.COM. Admirație și Inspirație! La mai mult! You’ve shared so much love. You inspire me to push through with my book. Keep writing and more blessings! Nezel, your poems are wonderful also my sister, move forward with your books as they will be an amazing blessing to all! God bless!